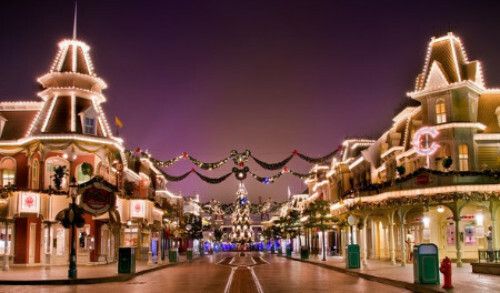 $250 Christmas Cash Giveaway & Winter in Snow Valley! I love the holiday season - the sparkling lights, the music, the gifts, eating goodies, Christmas caroling, lighting luminarias here in New Mexico (our neighborhood lights thousands every year!) parties, friends, family, my kiddos, and snuggling with a book by the fire. What's your favorite part of December? It's hard to choose! I also love the acts of charity and giving that happen as well and I hope we can continue to spread love and peace and goodwill all through the year. I'm also part of a fabulous $250 cash giveaway this month and all the details are below so check it out! Okay, lots more news below so check it all out and enjoy some great reading this winter! (Psst! Don't forget that in two months Book 3 of my Harpercollins trilogy, publishes! RETURNED hits bookstore shelves on February 7th - you can pre-order at the link. I cannot wait for you all to read the thrilling conclusion to Jayden and Kadesh's dangerous and romantic story in Ancient Mesopotamia). Thank you for reading my books, I appreciate it more than you can know. I love my readers and the incredible fan mail I receive. I'm blessed to have a career I love (a dream come true - it only took a couple of decades!) and readers who bless my life every single day. Thank you! Six sweet romances in a single collection to warm you up! If you're a fan of the series, we hope you love delving back into the world of Snow Valley. If you're new to the series, now's a great time to see what Snow Valley is all about. Here are the collections in order of publication: Christmas in Snow Valley, Summer in Snow Valley, Spring in Snow Valley, and now Winter in Snow Valley. (The next collection will release Fall 2017!) These collections have been hugely popular, often hitting #1 Amazon Bestseller status. Wonderful characters, drama, humor, and happily-ever-afters. Grab a copy for yourself, or send a copy to your favorite romance reader this holiday season. Six short novels for only $4.99! 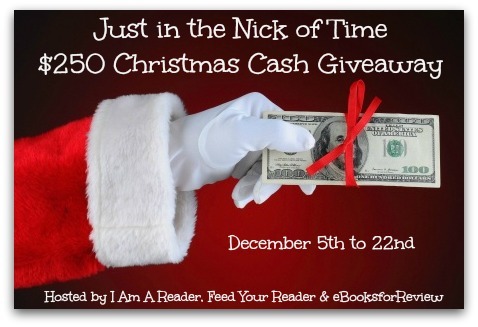 Since I'm super excited about this Christmas season, I teamed up with a few other authors to offer a $250 Christmas Cash giveaway. JUST IN THE NICK OF TIME CHRISTMAS CASH GIVEAWAY. More information is at the bottom of the newsletter. I've got my fingers crossed for you, good luck!! Wishing you a very Merry Christmas season!! When Piper Jensen’s dog has a litter of puppies that aren’t anything like their purebred mother, she immediately suspects the culprit responsible for the mishap is her neighbor’s derelict dog. Seeking restitution, Piper confronts the owner, Gabe Wesson, a single father of two children that likes to keep to himself. She isn’t prepared for Gabe to be so handsome, nor so disagreeable, and is irritated by his demands for a paternity test to prove his dog is the sire. As she and Gabe try to work things out, they both fight a growing attraction neither one of them want. But when Piper finds her heart falling in love with his children, it might be the catalyst that tips the scale towards a destiny she never dreamed possible. Mariah Lacoste has come to Snow Valley to help her cousin Amy revive Artisan's Knack, a boutique on Main Street that has definitely seen better days. Yeah, the timing might not be great -- a major overhaul of the store plus maid of honor duties for Amy's wedding, all during the worst winter Snow Valley has seen in a decade -- but Mariah is confident she can handle it. But can she handle Riker Carmichael, the best man and rumored player, who sets out to steal her heart? Snow Valley's new pediatric dentist, McCoy Wilson, is in debt and stress taller than his beat-up Chevy. The last thing he needs is a beautiful assistant who he's drastically overpaying. Chanel Horman prays moving to Snow Valley after her husband's death will give her and her son a start fresher than the snow that never stops falling. A hunky new boss isn't in the plans, but she'll have to find some way to work with McCoy without melting at his gentle smiles or she'll be in trouble deeper than the snow drifts. Chase Moon hates weddings, but a guy can't avoid his brother's marriage so he's got to man up and show up. Autumn Lane has a plan in life and it doesn't include her ex fiancé or some ex bronc rider thinking he has to protect her. When Chase and Autumn are forced into working together, neither of them imagined they’d fly to L.A., end up as contestants on the Price is Right, or kiss on a rooftop. Too bad her ex fiancé threatens to sue Chase to get her back. Now Chase is faced with a choice—trust his instincts or only wish he was the better man. Caitlin Webster suffers the worst New Year's of her life when she discovers her fiancé with his old girlfriend. Her best friend takes her to see Madame Tallulah, who makes such crazy predictions Caitlin dismisses them, until she gets a request to go to Snow Valley Montana and be a midwife for her cousin at the Starry Skies Bed & Breakfast. Caitlin finally agrees and finds herself in the snowy wilds of Montana in an encounter with a big red monster truck careening across the ice. It’s not the most fortuitous of encounters with contractor Quentin Hudson, and Caitlin avoids him like the plague. But is Quentin just a big burly Montana dude—all brawn and no brains—or is there more to this enigmatic man and his monster truck? Is he the one who will capture Caitlin’s broken heart and end up saving everyone at the end? 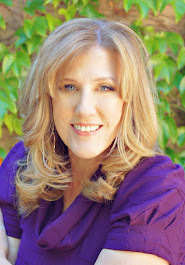 Cat O’Shae, a Christian romance writer who moved to Snow Valley with her sister, needs a New Year’s resolution. Her grandpa recommends she start creating romance off the page. When her eyes lift from the computer screen, they land on Sam Miller, an unlikely candidate for a romantic hero, except he sure does look good in a cowboy hat and he did save her from one mad chicken… Sam might just be what she needs to start the new year off right. Get your copy of Winter in Snow Valley TODAY. This amazing JUST IN THE NICK OF TIME is sponsored by the wonderful blog, I AM A READER. One lucky winner will receive $250 in Paypal Cash or a $250 Amazon.com eGift Card. All terms and conditions for this giveaway can be found HERE. I Am a Reader Giveaway Blog Post. Good luck! I'm thrilled to announce the launch of a brand new series--and every story has a romantic billionaire as the hero! 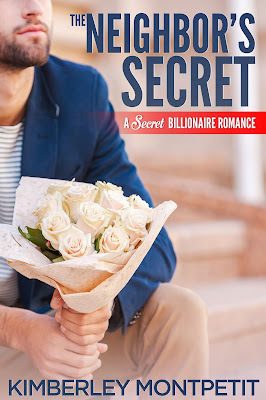 The first book, The Neighbor's Secret, Book #1 of the Secret Billionaire Romance Series is here! Grab a Kindle copy for only $2.99 or FREE if you have Kindle Unlimited! It would also make a perfect and inexpensive holiday gift for your favorite reader. After being left at the altar on her wedding day, businesswoman banker Allie Strickland returns to her hometown of Heartland Cove on a leave of absence to recover and regroup. Heartland Cove County in New Brunswick boasts a population of 899 people, a small town of Victorian homes, quirky citizens, and a booming tourist industry where people flock to see the longest covered bridge in the entire world. Grieving the trauma of her ex-fiancé’s betrayal and overwhelmed by her clingy mother and the fry truck family business, Allie rents the first available house she can find. But on the very first night, Allie’s peace and quiet is violated by an unexpected intruder who breaks into the house while she’s taking a bubble bath. An intruder with an alias and old ties to Heartland Cove. Forced by unusual circumstances to share the same rental house, Allie’s suspicions of the man grow—even as she finds herself attracted to him. But is Ethan Smith merely a freelancer on a magazine assignment taking photos of the famous Heartland Cove bridge—or is he an undercover spy for the mayor who wants to ruin the charming town by running a new highway through for his own profit? ***(Book #2 of the Secret Billionaire Romances will publish the end of January, 2017).